Temporality of the Impossible: Sounding Gesticulation is dedicated to solo violin pieces exploring movement, physical gesture and decoupling as base for musical material and dealing with various degrees of extreme and complex in performance, that spatially and temporally test perception of hearing and listening. 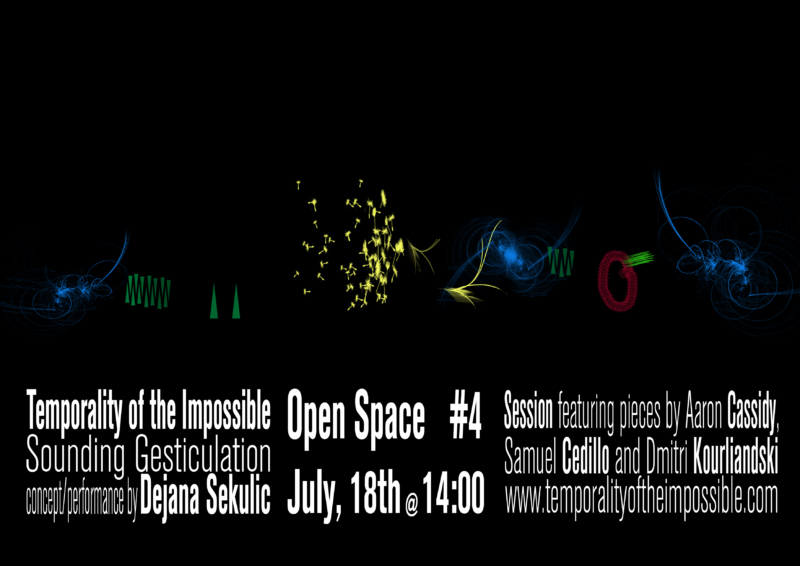 This Performance+Talk Session will feature pieces by Aaron Cassidy, Samuel Cedillo and Dmitri Kourliandski. Performance+Talk Sessions are part of ”Temporality of the Impossible: contemporary violin music, aesthetics, technique and performance”, a research that started out of personal curiosity and exploration of limits, and grew into a PhD research now taking place at the CeReNeM and HuCPeR, at the University of Huddersfield (UK).